Bearwear began trading in the middle of November 2014. We provide an online service for large men who cannot find their sizes in regular retail outlets. Our clothing ranges from sizes to 2XL-8XL. We (the owners) are both from Dublin and noticed that even within the highly populated and serviced Dublin area the large man clothing sector was almost non-existent. That doesn’t even include places like the West of Ireland whose business sector suffered during the recession and still hasn’t recovered. We wanted to provide an easy-to-use eCommerce platform for people in Ireland to shop from within the comfort of their own homes or on the go on their mobile or tablet devices. However, it was not just about providing a service for large men; we want to provide a quality product and service for the larger man. Due to type of people who wear our clothes (large men), the quality of the product has to be of the highest standard. We cannot afford to sell clothes with weak stitching that will rip after a few wears or clothes that will shrink after a few washes. Our clothes are of the highest standard from specialised suppliers in the industry. We aim to have all our clothes shipped the next day and also hope to have same day dispatch in the not so distant future. When people think of large men or shopping in to the ‘XL’ range, they envisage an overweight man or a man with ‘middle-age bulge’. This is not the case however. Look at rugby players for instance such as Paul O’Connell, Devon Toner or Rob Kearney. Without knowing their actual sizes it would be fair to say that these men are in supreme shape and amongst the finest athletes in the world in their respective sport. 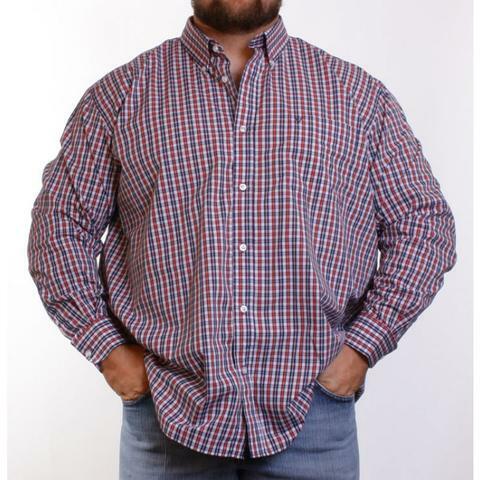 Is this the image of the large man who we think of when we hear about a person wearing a 3XL shirt? I think for most people it isn’t. Despite being a relatively new company, we’ve already catered for rugby players, weightlifters and people who are naturally larger than average. Just because you’re a large man does not mean you shouldn’t look and feel good about what you wear. Bearwear is hoping to make the larger man feel good about how they look and make it easier for them to find what they like. We’ve spoken to some customers who have said they used to wear a 2XL even though they’re a 3XL simply because they couldn’t find their correct size in regular retail outlets. We’re hoping to make this a thing of the past! Our clothes are modern and stylish and would not look out of place whether they were sized medium or 5XL.